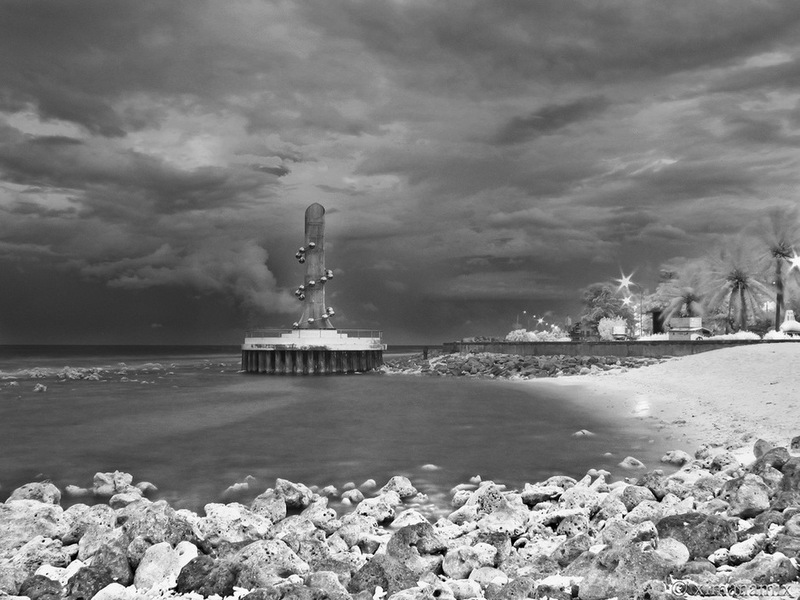 The Tsunami Monument, perhaps one of the most photographed structure in Malé, I don't know why but I am ready to bet that most of the Maldivian photographers, be them amateur, hobbyist or professional, seem to have a picture of this place in their Flickr photo stream. Myself included. We don't want to go against the grain, now do we? Tsunami Monument was built in memory of the many Maldivians who lost their lives in the Indian Ocean Tsunami, December 26th, 2004. One of the worst natural disasters to hit our country in recorded history. great shot!!. i havent seen this monument captured from this angle.